WATCHMEN: I'm not impressed with any of the Watchmen clips I've seen so far. The early reviews are all good so I'm quite hopeful. But these scenes I've looked at seem to lack balance. Some are extended action, drawn out in slow motion but lacking any tension. Others are dull conversations also lacking tension. The drama seems to be falling flat! I know these are very short snippets so it is impossible to judge the film right now. (And I remember the early scenes from the Fellowship of the Ring that had me quite worried, and, well, everything turned out just fine). Is it just me? Do I need to scale my expectations down? BOOKS: The last three books I read were all very good. They all happen to be short story collections. First was Dangerous Laughter by Steven Millhauser. The highlight here was "Cat 'n Mouse" (a story in which cartoon characters like Tom and Jerry ponder philosophically about their prescribed roles in a predestined life). Second was Eclipse 2, a solid collection of new science fiction stories edited by Jonathan Strahan. (The stand-out story is "Exhalation" by Ted Chiang, which is as good as anything he's written and provides further proof that Chiang may be one of the genre's greatest short-story writers). Finally there was Cyberabad Days by Ian McDonald, a collection of all the author's future India stories in one volume. McDonald's India stories are superb pieces of science fiction and possibly the best work he has ever done. Highly recommended. TELEVISION: I'm totally engrossed with LOST. I count the days until the next episode. Big Love is superb television and last week's episode was the best of the season so far. I've said it before, you won't find a better ensemble of actors on TV right now. Battlestar Galactica has improved this season with some thrilling episodes (the mutiny arc was great). I still think the series would have been stronger had it been shorter. Finally, I'm intrigued with Dollhouse. The second episode was a better than the first and there seems to be is a solid backstory to explore. I'll be sticking with it. WRAPPED IN PLASTIC: Craig Miller has finally updated the WIP website. 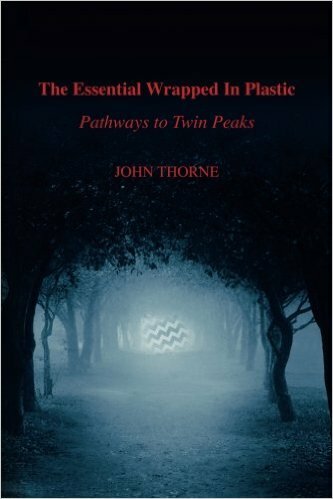 Read his thoughts about the twentieth anniversary of Laura Palmer's death and his overview of Lynch's post-Peaks work. You can see it all here. DAVID FOSTER WALLACE: I haven't written about Wallace yet. His death is still hard to think about. Ever since I started reading David Foster Wallace in 1997 he was a near constant presence in my mind. Really. For eleven years, I knew that David Foster Wallace was out there somewhere thinking about things, processing and clarifying the world. His thoughts and observations were always precise and enlightening. His tragic death was a major loss for the world. There have been a number of superb tributes to Wallace online. Amherst College has the latest. The new issue of Harper's (March, 2009) contains a fascinating essay entitled, "Raiders of the Lost R2" by Jon Mooallem. It's about the obsession of some Star Wars fans to seek out the actual shooting locations of the films and scavenge those sites for props and set pieces that may have been left behind. Some fans have gone to great lengths to locate sites in Tunisia that doubled for Tatooine, or find Mayan ruins that were used for some establishing shots on Yavin's fourth moon, or visit sites in Finse, Norway that were used for the ice planet of Hoth. The article recounts a visit Mooallem made with a trio of Star Wars fans to Imperial Sand Dunes National Monument in California where, in the inaptly named Buttercup Valley, scenes from Return of the Jedi were filmed in 1982. These scenes depicted action around the Sarlacc Pit and Jabba the Hutt's sail barge. Apparently, remnants of the barge and pit film sets—broken bits of weathered foam and painted plywood—still exist, buried under the hot California sand. Many fans hope to salvage these fragments, carry them out of the desert, and add them to their Star Wars memorabilia as prized collector's items. This is what the group with Mooallem was hoping to do. Now, I know what it's like to be fascinated by a fictional world. There was a time when I lived and breathed Twin Peaks. I have my prized props and I've been to film sites of the pilot and Fire Walk With Me in Washington state. I understand how important it is to connect with that "other" world; how fascinated one can become with those fixed points on earth where a fictional world intersects with the real. But I wonder at the import of finding the flotsam and jetsam of long-abandoned film sites. What does finding these artifacts (which are indistinguishable from any construction site debris) really mean to a fan? Mooellam wonders the same thing. He argues that Star Wars (and other imagined worlds) "takes on a specificity and a grit" of a real world. It is a world that demands to be defined and in so doing might require "adults [to] journey great distances to stand inside that universe and handle it for real" (p. 67). But what do you get when you stand inside that other world? What does "handling it for real" mean? To me, seeing Jabba's barge as nothing more than plywood and latex paint diminishes the whole experience. The faraway idea of Star Wars instantly becomes grounded and mundane. Hand-crafted props are one thing, junk from a movie set is something else. Still, I can reluctantly relate to the whole endeavor. The notion that some piece of treasure (an actual blaster prop or a Gamorrean helmet) might await under the California sand is compelling. But the compulsion to find such treasure is also worrisome. How simple is it to step over the line that demarcates diversion from obsession? How easy is it to develop the "tic" in fanatic? I don't know, but it seems like something to guard against. If you want to know more about the Buttercup Valley "excavation," check out this blog for pictures and behind-the-scenes notes (including images of the rather dull pieces the group found). Mooallen's Harper's essay is not online, however (unless you are a Harper's subscriber), so you'll probably have to obtain a copy of the magazine to read it. In many ways Blue Velvet is an easy David Lynch film. Maybe not easy to watch, but easy to study, easy to decipher. Compared to the director's other works, Blue Velvet wears its themes on its sleeve: We see the idyllic small-town setting but also the darkness hidden underneath (the bugs). The ideas of dreams are overt, especially when Sandy tells Jeffrey about her dream and then later the dream comes true (the robin). (And let's not forget the use of the song, "In Dreams.") There is an obvious Oedipal drama as Frank Booth and Dorothy Vallens play surrogate parents to Jeffrey (using terms like "baby" and "daddy"). Finally, it is rather obvious that Frank represents a dark version of Jeffrey ("You're like me") whom Jeffrey must overcome to be free. What's more, Blue Velvet is told is a straightforward manner (it is, without doubt, a straight story) and there are few, if any, narrative tricks at play. Blue Velvet does not confuse reality with dream; everything happens in Jeffrey's "real" world. And there are no loose ends; the film ends happily, all plotlines sewed up neat and tidy. Greg Olson's chapter on Blue Velvet in his book, Beautiful Dark, is, like the film, short and simple. There is not a lot of revelatory analysis here because the film does not require a lot of digging to get to its secrets. Still, Olson looks carefully at the work, situating it in pop-cultural history (he shows how it fits into the changing notion of what "small-town America" means) and providing a strong and thorough critique of the themes discussed above. Olson details some great background about the casting of the film, particularly how the role of Frank Booth went to Dennis Hopper. (Hopper's reputation in Hollywood was so notorious at the time that Lynch was nervous about meeting the actor.) Olson also looks at the "timeless" setting of Blue Velvet--how it seems to defy being part of any particular era: "In Blue Velvet Lynch is pioneering a subtle stylistic motif that other filmmakers will try to copy; he's giving us an evocative dream time, an ambiguous mix of various decade signifiers in which we float around, subtly disconnected from the waking realities of our own time-bound lives" (p. 230). There is also a good discussion of Lynch's fascination with concepts of "floating" and "falling." To Lynch, according to Olson, "floating" is positive, "falling" is negative. I hope Olson looks at this concept further in the Twin Peaks chapter: The classic opening theme music for the show, also known as "Falling," is about falling in love (and not being "hurt this time"). In the Twin Peaks universe, apparently, falling in love can be positive or negative--or both. Which leads me to think that maybe the concepts of floating and falling should be assigned more complex meanings. Floating may have to do with a sense of control, that is, one has control of his or her emotions and is therefore at peace. Falling has to do with lack of control, the idea that you can't stop a flood of emotions--positive or negative. When you fall in love you are out of control. But once in love, you can regain control, stop falling and begin to float. These ideas probably aren't much different than Olson's, but I like to think there may be more to Lynch's falling/floating dichotomy. Olson ends the chapter before he fully discusses critical reaction to Blue Velvet. It looks like he will talk about that part in the next chapter (perhaps to show how some of the themes in Blue Velvet--and audience responses to them--propelled Lynch toward Twin Peaks). I can't wait to read it. With sites like this and this it might seem redundant or meaningless to dream of a book of critical studies about David Lynch's Mulholland Drive, but I'm old-fashioned and I would love to have just such a book. This article is absolutely essential reading for anyone who wants to study Mulholland Drive. Tad Friend has access to Lynch immediately after ABC decided to pass on making Mulholland Drive a weekly TV series. (In fact, Friend is in the room when Lynch gets an early call with the news that ABC may not be interested in the pilot.) Friend describes both the uncut and edited versions of the Mulholland Drive pilot and he reveals some of the proposed plot lines for the series: "[I]n the course of the first year Betty and Rita would 'cross': Betty would sink into the city's underbelly and Rita would be redeemed. Lynch promised that when Rita's identity was finally revealed it would only open up other mysteries" (p.62). In addition to detailed descriptions of the early stages of making Mulholland Drive, Friend also recounts lengthy and unprecedented conversations with Lynch about the pilot. Since these early days, Lynch has talked little about the Mulholland Drive pilot preferring to think of the project exclusively in terms of the film. (As he told Chris Rodley in the revised edition of Lynch on Lynch, "The pilot was just a stage this thing went through.") Friend was in the right place at the right time and his essay is not only important for what it tells us about Mulholland Drive, but it is also essential reading for anyone who interested in how David Lynch makes movies. This is a surprisingly good review of the film as a whole. I say surprising because the piece appears in a high-end audio/video magazine but reads like it could come from any top film journal. Valin concludes that Mulholland Drive is a "breakthrough" for Lynch who "finally manages to evoke a pity to match the terror he has always excelled at creating." I share the same thoughts. For me, Mulholland Drive represents a major step forward in Lynch's handling of character. The audience comes to understand and pity Diane despite the horrible things she does. Lynch tried to evoke similar sympathy for Laura Palmer in Fire Walk With Me and while he came real close, the TV series put too many constraints (about Laura) in his way. Mulholland Drive, however, is Lynch's triumph. These two essays by Fuller and Taubin represent early efforts by the scholarly community to get a handle on Mulholland Drive. Both make important observations about dreams and dreamers in effort to unlock the mechanism of the film's narrative. Fuller: "Where Lynch makes most effective use of dreaming in Mulholland Drive is in exploiting, whether consciously or not, its capacity for over determination and the notion that the dreamer is all the characters in his or her dream" (p. 17). And Taubin: "Mulholland Drive is constructed entirely on the language of dreams. [O]n a narrative level, the temporal collapses, the shifting identities, and the displaced objects are all aspects of what Freud describes as 'dreamwork'"(p.54). This is perhaps my favorite Mulholland Drive essay. Toles meticulously examines Betty's audition scene to reveal a number of fascinating possibilities, not least of which is the idea that Betty is a false persona. Toles argues that it is in the audition scene where the real, driving personality behind Betty (Diane) is first revealed: "We gradually catch on to the fact that 'Betty' has been slipped off like the gray jacket and another, far more formidable presence stands in her place" (p. 9). (I might argue that Diane dreams Betty as a better actor than she (Diane) was in real life because she wants to change what was probably a failed audition into a stunning success. My take on the scene may merely be a distinction without a difference, however.) This is a superb piece, well-written and informative. I'll admit that I've only skimmed this piece by McGowan. But his writing is crisp and clear and some of his observations about Lynch's film technique and the conveyance of fantasy and "reality" are valuable: "As we contrast the first part of the film with the second, it quickly becomes evident that the first seems more real, more in keeping with our expectations concerning reality" (p.196) and, "After seeing the body Betty and Rita quickly flee the apartment . . . . We see several images of them on each frame and consequently it looks as if Betty and Rita exist outside of themselves, as if the encounter with the real has disrupted their existence relative to time" (p. 211). This piece is more accessible than an earlier essay Nochimson wrote for Film Quarterly. Here, she provides an interesting discussion about Lynch and the happy ending and how Mulholland Drive may signal a new direction for Lynch, one that Nochimson describes as "protagonists who miss their moment." I think this is a fascinating point. How close was Diane Selwyn to the typical Lynchian "happy ending" – one in which she finds happiness somewhere outside of reality? She almost achieved happiness in her dream. But the guilt of her actions was too much for such an "escape" to last. Does Mulholland Drive represent a contrasting position to Eraserhead? Henry kills his baby but finds peace; Diane kills Camilla and finds despair. Clearly, there is more to be examined on this topic. So there you have it. My "dream" Mulholland Drive book. Each essay provides some unique insight into the film and there is little repetition in content. I think that, collected, these essays would provide a comprehensive look at the history, themes, and creative techniques of the film. Are there any good essays I'm missing? Should something else be included in a definitive study of Mulholland Drive? Let me know. 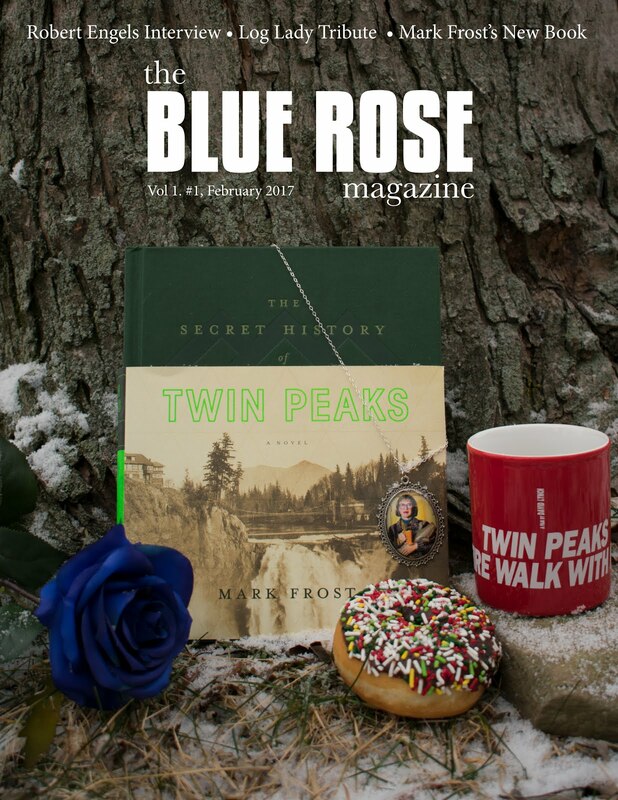 I spent years writing about Twin Peaks, digging deep into the show, trying to find connections between it and literature, exploring the show's narrative techniques and its treatment of character. It was the kind of thing I loved to do because it was (and is) the kind of thing I love to read. Well if you like that kind of stuff, too, and you like the show, LOST, then you must read this blog by J. Wood. This week's post, "Lost: Draw Me a Hexadecimal," is stunning. Wood's latest may be the most in-depth, insightful, well-written criticism of LOST (ar any television) I've ever read. If you watch LOST, read Wood. If you don't watch LOST, start with season one now. I recently reread Watchmen by Alan Moore and Dave Gibbons. It was my third time reading it and I was struck again by the complexity of the story and the attention to detail in the art. I was still slightly unhappy with the ending (more on that below) but I still find the work to be tremendously rewarding. As with any great work of such detail and depth there are new things to be discovered with each new reading. This time around I was particularly interested in the notion of Watchmen as a deconstruction of the superhero genre. The problem was I didn't completely understand what deconstruction meant. I thought it had to do with exposing the inherent flaws in a genre. That by deconstructing something you lay bare its inner workings and thereby prove the falseness of it. As I read Watchmen I expected the very idea of superheroes and masked adventurers to be implicitly (if not explicitly) destroyed. But that didn't happen. Instead, Watchmen asks the reader to accept cliché and believe in formula. One has to "buy in" to the idea of superheroes in order for Watchmen to work. I realized, then, that I had been confusing deconstruction with destruction. Watchmen is not designed to destroy the superhero. It is doing something else entirely. But even after my third reading I didn't know what that was. What Thomson shows is that Alan Moore was up to much more than simply debunking the trappings of the superhero genre (the secret identities, costumes, gadgets, and fortresses of solitude). In Watchmen Moore is not interested in merely saying, "superheroes are impossible;" he and the reader already know that. What Moore does is tackle the fantasy of superheroes. He attempts to prove false the idea of "hero as savior." Moore takes the reality of costumed vigilantes and superbeings to its logical conclusion. What would a world be like where civilians anonymously fought crime? What would happen if a "superman" could sway the course of geopolitical events? Would this be a better world than our own? Watchmen explicitly answers, "No." It is clear from reading Watchmen that the world has become a dystopia, a place of despair and dismay. Rather than solve problems, heroes (and superhero) have made matters worse. People fear vigilantes and look to the police for order. When the police go on strike, the government outlaws masked crime-fighters. Any costumed hero that the government does allow is co-opted and ultimately used against the population (the Comedian). A right-wing state emerges. The United States' dependence on the superhero (Dr. Manhattan) for protection escalates international tension and increases the likelihood of all-out war between the superpowers. Another "hero" (Ozymandias) attempts to resolve these problems by launching a scheme that, though it kills millions of people, succeeds at (temporarily) relieving the aggressive tensions between the nuclear powers. Watchmen posits that this "nightmare" world emerges from the "fantasy" of the superhero. It is a world where conflicts become magnified rather than removed, where safety is even more tenuous than it was before the advent of heroes. And this, Thomson so clearly shows, is how Watchmen deconstructs the superhero genre. Now I get it. Maybe I was just dense or ill-informed before, but my appreciation of Watchmen has grown appreciably since reading Thomson's superb essay. I highly recommend it. Still, the essay did little to help me feel better about the ending of Watchmen. If anything it called into further contrast the inherent weakness of Watchmen's conclusion. Ever since my first reading of Watchmen (back in 1987) I was disappointed by the ending. I remember the anticipation for that final issue. It was the climax of something significant. (Most readers knew at the time, before the series had concluded, that Watchmen was a major work.) And then there was the last issue, number twelve. Everything had been leading up to this. And the ending was a letdown. It was not a major disappointment. The issue still delivered plenty of surprises and satisfying (and logical) denouements for all of the characters. There was just something about that giant alien squid that didn't sit right. If you are still reading this then you probably know how Watchmen ends. Ozymandias launches his master plan by simulating an alien invasion of earth. He teleports what appears to be a giant alien being (a horrific, Lovecraftian "squid") into the heart of Manhattan thereby causing the death of millions of people. The "squid" has also died, apparently due to its botched inter-dimensional manifestation. Still, the "invasion" causes the world's super powers (re: the USSR and the USA) to cease hostilities and to unite against a perceived common enemy. This plan recalls a similar plot point in Ursula K. LeGuin's The Lathe of Heaven. There, George Orr—whose dreams can alter reality—is made to dream an end to war on Earth. He dreams of an alien invasion, thereby providing a common enemy for all warring nations. Unlike the aliens in The Lathe of Heaven, however, the alien in Watchmen is fake—and dead. Yet somehow it still has a profound effect on the world's nuclear foes. The USSR (which until now has been aggressively at war in Afghanistan) announces an immediate end to hostilities. A summit in Geneva is called. The world is unified. And it only took a few hours. The ending of Watchmen seems too simple for such a complex work. I have always wondered why the Soviet Union would so quickly accept the premise of an alien invasion. It seems more likely that a hostile USSR, suspicious of an angry, belligerent West (this is the USA under Nixon, recall) and frightened for so long by Dr. Manhattan, would take advantage of the confusion in the USA (which is obviously vulnerable) to further its aggressions. But they don't. They accept the alien as real and seek peace with the USA. Ozymandias has succeeded and Earth is saved. It's all too easy and too quick. In so many ways Ozymandias' plan could have backfired. He was depending on the belief in—and fear of—an alien monster to bring peace to Earth. This is unfortunate because for all that Watchmen is, for all the clever and deft ways it "deconstructs" the genre, it still relies on a gimmick in its final act. If Watchmen posits that the extraordinary and unworldly (the superhero) inevitably leads to dystopia, how can it expect us to believe that something equally extraordinary (alien invasion) could bring unity and peace? It is an unfortunate contradiction. Of course, Watchmen does not have a definitive and tidy ending. Tellingly, Dr. Manhattan's last words are, "Nothing ever ends," leaving Ozymandias to question the success of his plan. Rorschach's journal, which contains Ozymandias' secret, is on the verge of publication. The story, therefore, remains open. Given the nature of the Watchmen universe the "happy ending" may be fleeting. There is a looming potential for darker times to come. So, while the ending to Watchmen is weak, it remains only a minor flaw in a major work. There is just enough ambiguity ("Nothing ever ends") to argue that Watchmen succeeds despite its flaws. To me, it remains a great work of art. Each reading proves that it is one of the most important and profound comic series of all time.